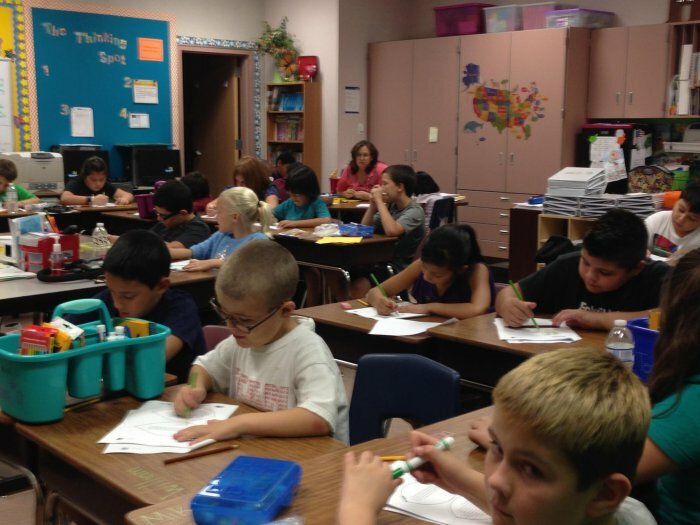 We are very excited that we are an Advancement Via Individual Determination (AVID) elementary school. Teachers have been trained on implementing the AVID program in grades K through 6. 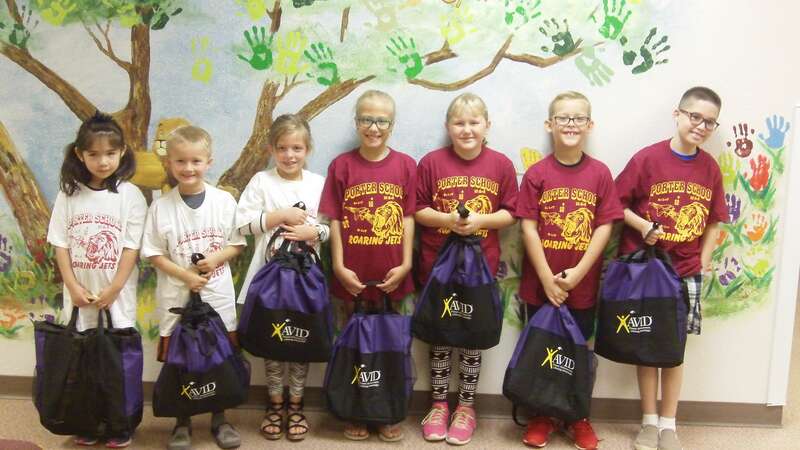 AVID Elementary is a component of the college readiness system and supports the mission to close the achievement gap by preparing all students for college readiness and success in society. It is designed to teach students organizational tools and strategies to use in daily instruction across entire grade levels to impact school wide structures. This is a great opportunity for our staff and students at Porter. 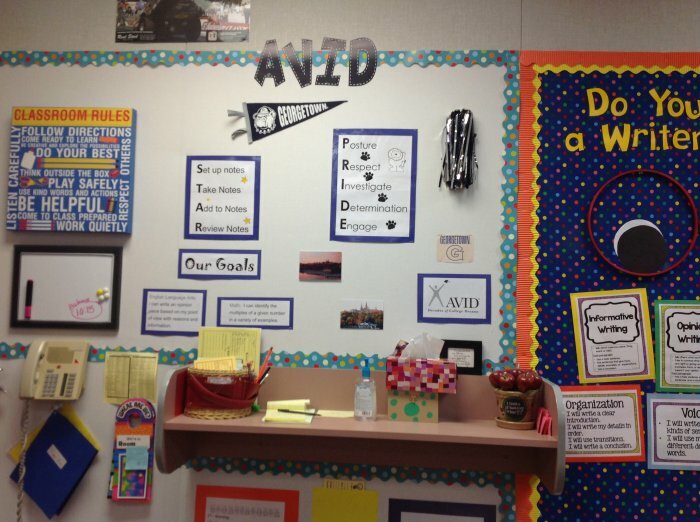 As part of our AVID family outreach we conducted an AVID Scavenger Hunt on Curriculum Night. Each family worked together to find the answers. Answers were on bulletin boards, in hallways and teacher's classrooms. 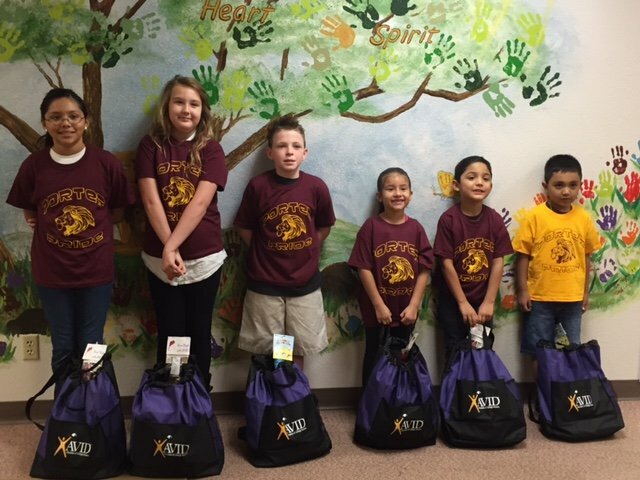 Winners received an AVID backpack filled with organizational tools and Porter Pride t-shirts. CONGRATULATIONS to our winners!